Liquid drew 15-15 against ENCE on Overpass, now set to face Astralis in the grand final of BLAST Pro Series São Paulo 2019. ENCE commenced on the CT side of Overpass, where the initial loss of Aleksi "allu" Jalli was made up by a 3k Toilets hold from Jere "sergej" Salo, securing the Finns the first pistol of the map. Momentum proceeded to develop in favour of the defenders, as Liquid's offense was consistently struggling to breach, let alone secure bomb plants, with difficulties persisting through to a 0-7 deficit. Round 8 proved to be a pivotal point for the struggling squad, marking Liquid's first round victory on the offense. With the wind in their sails, the Ts went on to land a further three consecutive rounds, subsequently leading to a full economic reset for ENCE, a first for the Finnish defence. 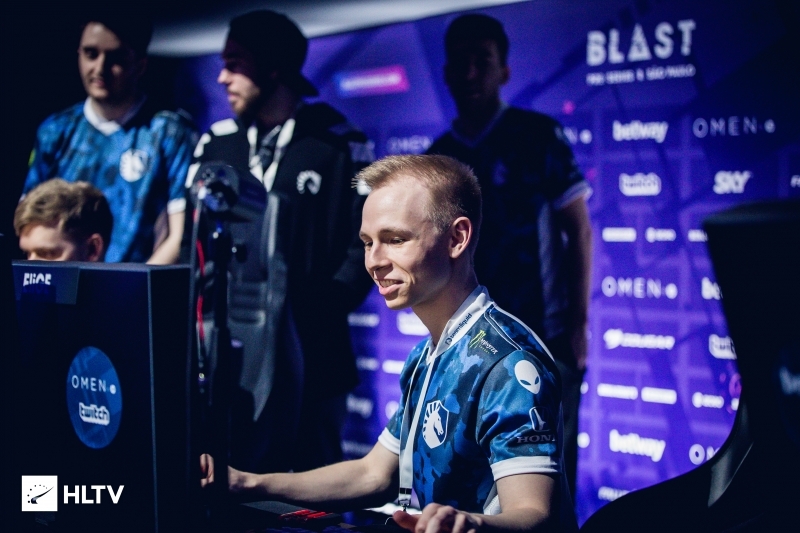 The setback proved to be temporary, as Aleksi "Aleksib" Virolainen and his squad restabilised post-upset, trading three-for-two with their adversaries, concluding the initial half 10-5 in ENCE's favour. Without hesitation Liquid commenced equalising efforts after switching to the CT side. 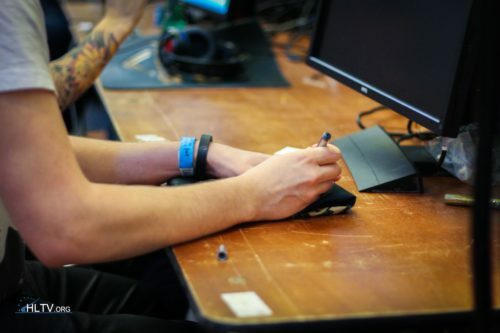 A fruitful pistol round was succeeded by an anti-eco MP9 ace from Jonathan "EliGE" Jablonowski, an effort that bridged the round disparity to three rounds. Early momentum was extended for a short while longer by the aqueous quintet, after which a brawl for dominance ensued. Despite conceding a string of rounds, the Finns were able to reset their adversaries, preventing an equaliser from taking place at 12-10. Maintaining composure, Liquid eventually managed to level the playing field at 12-12, largely thanks to a stunning AUG 4k from EliGE in round 24. The round victory was a blow to the Finnish economy, leaving room for one last buy on the T's part. Fortunately for the offense, it proved fruitful, in turn dealing damage to Liquid's economy. Financial drought was prevented by Liquid via a victory, causing a back-and-forth to ensue between the teams. Neither side was able to overcome the other, leading to a 15-15 draw come conclusion of Overpass. Liquid will advance to the grand final over ENCE due to securing a better round difference over the course of the tournament at +32 in comparison to ENCE's +21. I think it is fine especially when the tournament is a bit less serious at least for the viewers. And I think having different formats is nice even though it isn’t the optimal thing for competitors. True. Its not like there was time for a tiebraker ot. Finally my boys didn't choke. They got this final! I mean it was not lucky by any means. There were many close rounds but ence made some crucial mistakes too. Thank god we will not see a shity final like in Katowice. I waited for like 10 mins for OT! What is this format LUL! astralis: ok, they both deserve a spot in final. let us fly back home. They have the same points why did they choose TL? Shame no OT when same points..
yeah, but liquid have more + rounds. In a lot of sports if tied watching other aspects in standings. AND Cs has different halves, If you start CT you will have a significant advantage to get more rounds. Mibr clearly throwed xd. +1 tournament was boring to watch. I guess we have to say goodbye to mibr for our favs.. rip...tgese gys are getting worse and worse like vp (the old linup)... Hard to say but .. they are not performing as tgey were expected.. I think the no-OT format is allright for a 2-day event like this. They both crushed their other opponents, except Astralis, Liquid just happened to crush more, so it makes sense that they make it through. Ence had a chance there on the last round, had they just won that round they would have well deserved their spot in the final. Even now, both teams deserved the spot, they both outplayed their opponents with a great score diff (+21 to ence, +32 to liquid), Liquid just deserved it more in this context. No reason to cry about it. Anyway, it was fun watching Ence in the standoff map lol. The RD would make sense if all matches were played on the same maps. Now they are not. God testo. Ez #1 - 2k19.